For the past two days I've noticed a flurry of activity at the Rives Mansion. 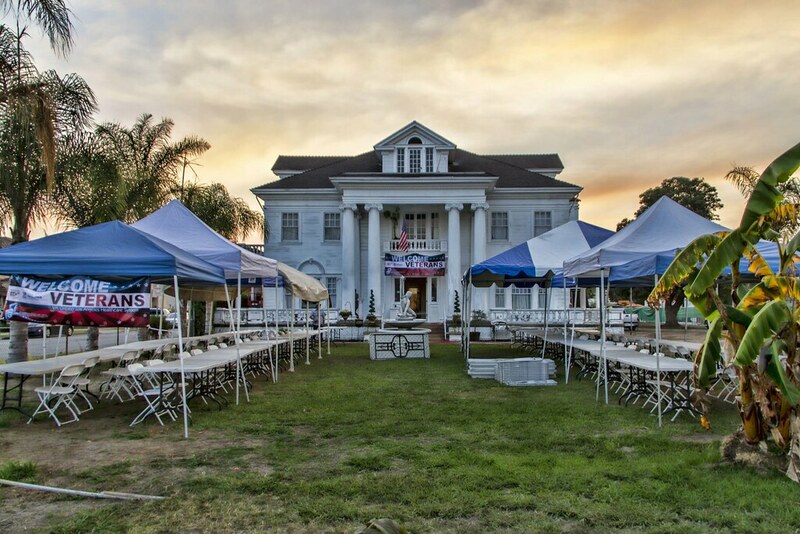 Tents and tables have been set up and banners hung. 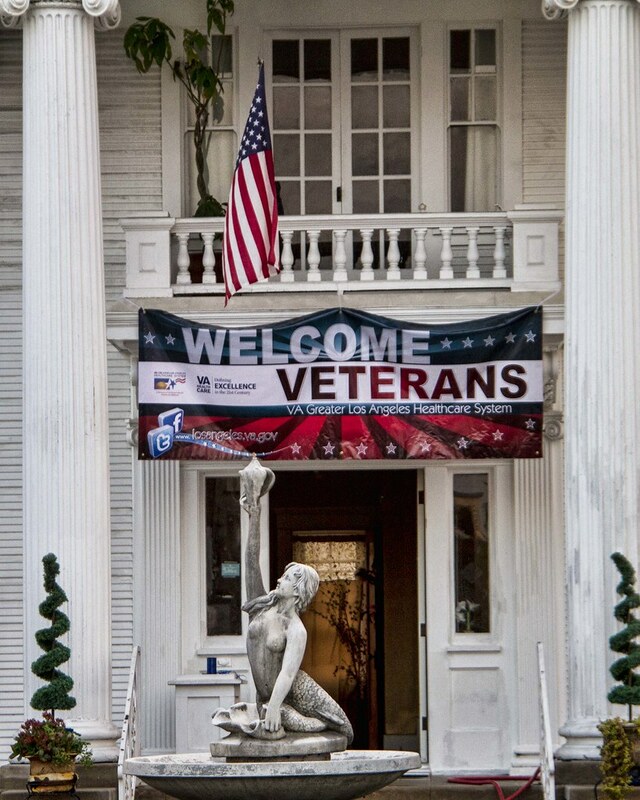 Tomorrow the Rives Mansion will host a Veterans Job and Resource Fair. The Department of Veterans Affairs Greater Los Angeles Healthcare System is collaborating with The Los Angeles Film School to host this communtity event. The free event is open to veterans and their families from 11 am to 4:30 pm. To view their flier you can visit downeybeat.com or just click here. Our veterans deserve our support and our thanks.